A full-bodied brown beer of 10° with a fruity taste like wine, full of aromas. A full-bodied brown beer of 10° with a fruity taste like wine, full of aromas. A beautiful red-colored, malt-flavoured and spicy beer, with a creamy and dense foam. 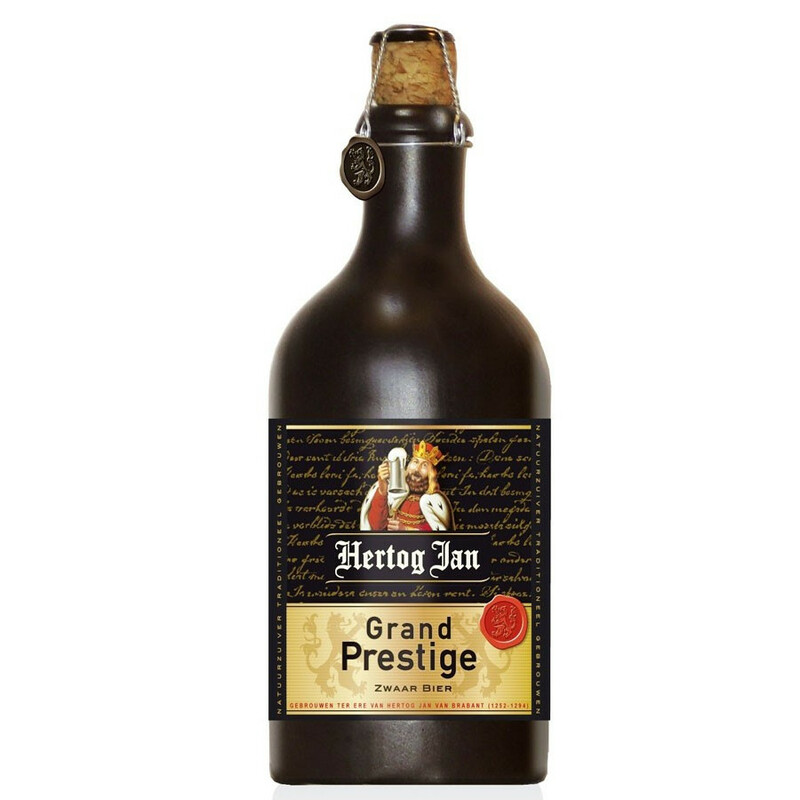 The beer has been created in homage to Hertog Jan van Brabant (1252-1294), a Duke famous for his love of beer, according to the Dutch legend. Colour: brown with a creamy foam, just like a Guinness. Nose: deep notes of liquorice with caramel, roasted malt and dried nuts. Palate: malted, caramelised, sweet, with macerated fruit aromas and a light bitter finish with a hint of liquorice.